Ana England, See, 2011, glazed and unglazed low-fire earthenware, polystyrene, acrylic cement, silicone rubber, and glass beads, 28” x 28” x 11”, © Ana England. Clay is, essentially, dirt, or, to be more poetic, earth. Many artists use clay metaphorically, including Ana England. 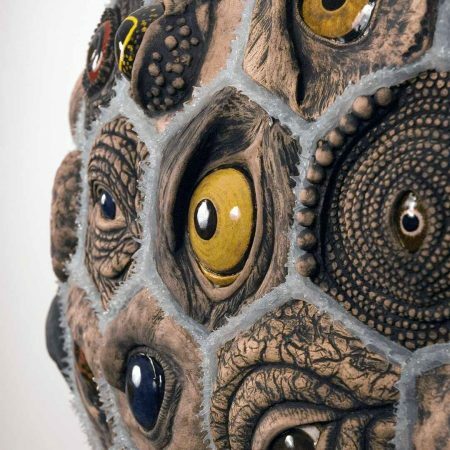 However, she takes her material to a higher level, using it to represent the cosmos as well. 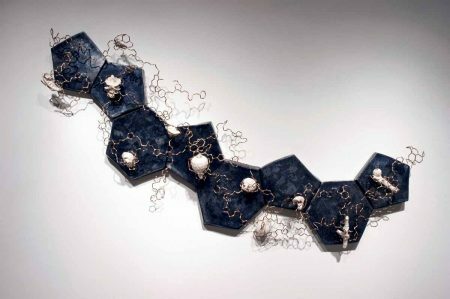 Ana England, Soil Song, 2008, porcelain, burnished and carbonized ceramic, and bronze, 30” x 58” x 7”, © Ana England. England is an accomplished ceramist. In 1983, she earned a Master of Arts in ceramics at San Jose State University, California, and led the ceramics department at Northern Kentucky University for 30 years (she now holds the title Professor Emerita). 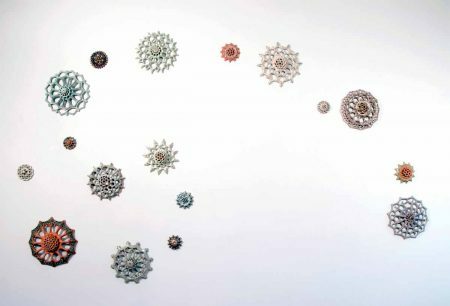 The title of England’s one-woman show at the Cincinnati Art Museum–“Ana England: Kinship”–plainly declares the show’s thesis as England connects galaxies to the simplest of organisms. 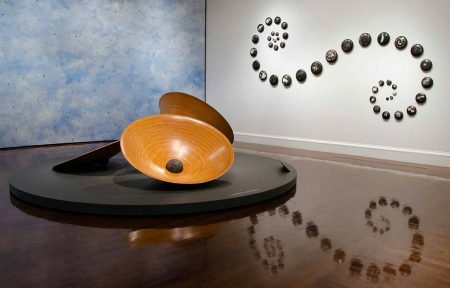 Ana England, Night Sky Spiral, 2003, burnished and carbonized ceramic with wax coating, Cincinnati Art Museum; Museum Purchase: Lawrence Archer Wachs Fund, 2003.231-qq, © Ana England. England respects clay and collaborates with it, letting it have its say. She is experienced enough to be able to anticipate the result, but the outcome is never assured with this material. Although it is possible for England to have painted—either with glaze or traditional paint–the cosmic effects, the fact that those markings are due to the raku firing, bring it closer to the oneness of nature. Given that, I venture to offer a very mundane view. The discs bear a striking resemblance to Frisbees, and, like actual Frisbees, they float through the air and spiral to elude anyone hoping to snag one. Ana England, Drift, 2016, glazed earthenware, 73 x 120” x 5” Photography by Tony Walsh, © Ana England. Like in Night Sky Spiral II, England has arranged the doily-like discs across the wall in a roughly spiraling progression, allowing for the will of the currents. 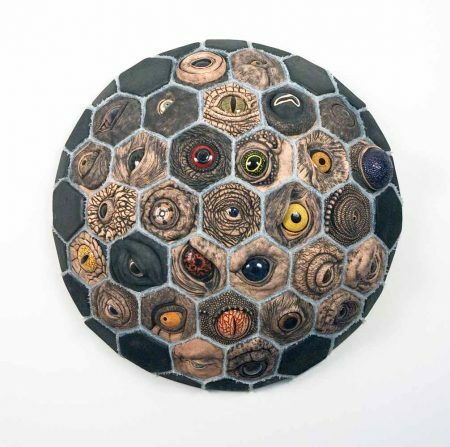 Ana England, Shared Identity II, 2016, carved and carbonized ceramic, 60 ½” x 23 ½”, x 1 ¾”, © Ana England. In Shared Identity II, England emphasizes the continuum of human life and the world. 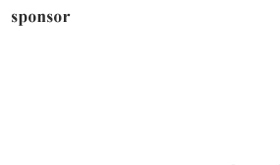 There are two vertical rows of paired squares of the same size. 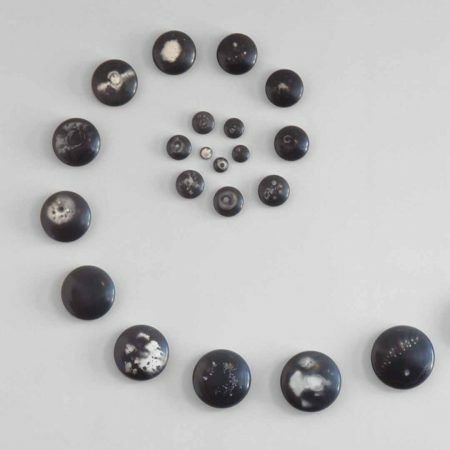 Each one features whorls and concentric circles carved into the surface and carbonized to contrast with a white ground, as in Night Sky Spiral II. 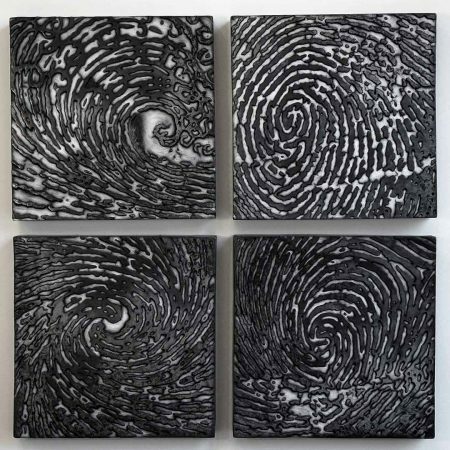 In the right row are fingerprints, and on the left are representations of a wave, a galaxy, a hurricane, growth rings, and a magnetic field—all natural occurrences. The artist has linked the most personal and intimate to the universe. “Ana England: Kinship,” through March 4, 2018. Cincinnati Art Museum, Eden Park, 953 Eden Park Dr., Cincinnati, OH 45202, 513-721-ARTS (2787), cincinnatiartmuseum.org. Hours: Tues.-Sun., 11 a.m.-5 p.m., Thurs., 11 a.m.-8 p.m.
1 Dehan, Amy. “Ana England: Kinship,” Ana England: Kinship, Cincinnati, Cincinnati Art Museum, 2017, p. 1. 2 “Ana England: Kinship,” press release. 3 Bloomfield, Maureen. “The Path of the Sphere,” Ana England: Kinship, Cincinnati, Cincinnati Art Museum, p. 2. 4 Night Sky Spiral II, “Ana England: Kinship,” Cincinnati Art Museum gallery label. 6 “The Fibonacci numbers are Nature’s numbering system. They appear everywhere in Nature, from the leaf arrangement in plants, to the pattern of the florets of a flower, the bracts of a pinecone, or the scales of a pineapple. The Fibonacci numbers are therefore applicable to the growth of every living thing, including a single cell, a grain of wheat, a hive of bees, and even all of mankind.” Parveen, Nikhat, UGA. “Fibonacci in Nature,” University of Georgia,jwilson.coe.uga.edu/EMAT6680/Parveen/Fib_nature.htm. 7 Night Sky Spiral II, “Ana England: Kinship,” Cincinnati Art Museum wall label.